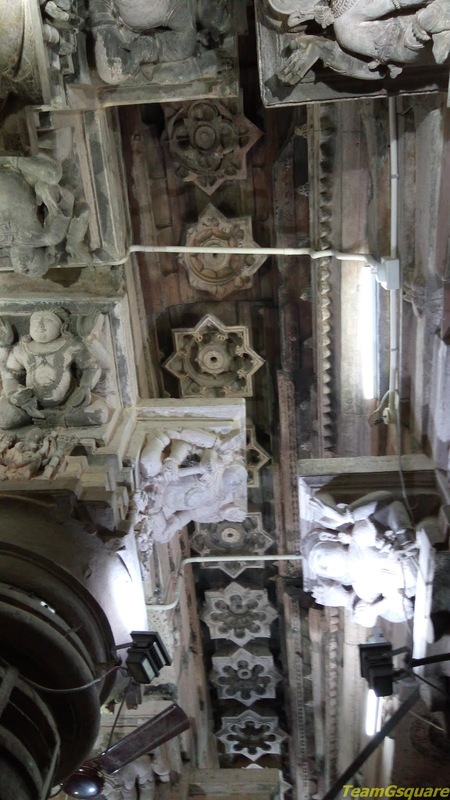 During our discussion over a quick lunch, we decided to skip Omkareshwar and Maheshwar and head straight to Mandu due to time constraint. 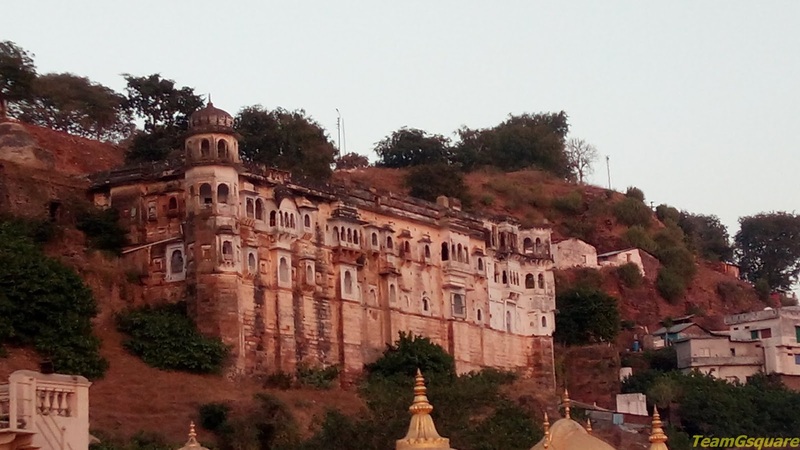 Without wasting any more time, we headed towards Mandu and the closest route was via Maheshwar. Around 3:40 pm, we reached a cross road leading to Omkareshwar and realised that Mandu was about 150 km from here. 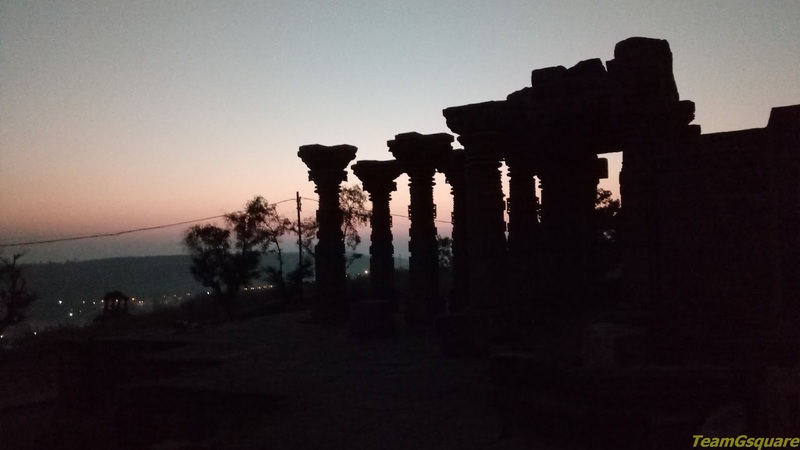 Thinking again, we modified our plan and drove towards Omkareshwar as we were aware we wouldn't be able to make it to Mandu before sunset. We reached the village of Omkareshwar within ten minutes and were greeted by the narrow lanes of this temple town. Navigating through these lanes, we reached the southern bank of river Narmada. 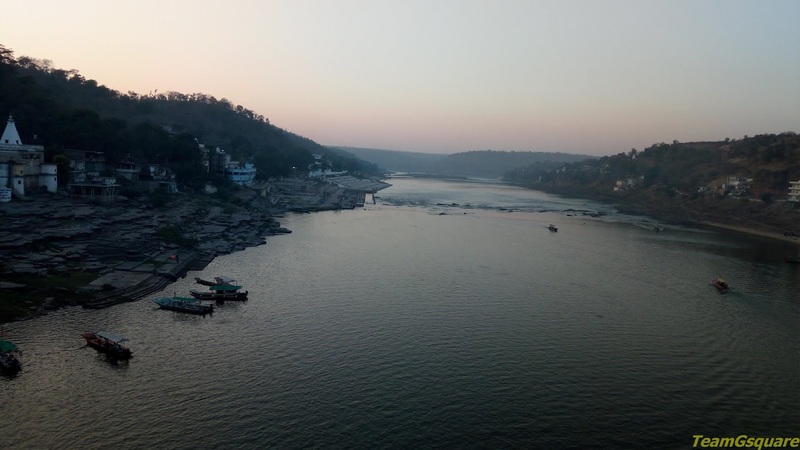 While we were on a look out for a place to park our vehicle, we were surrounded by numerous priests (read them as touts/agents) who offered to take us to a direct darshan of the Lord Omkareshwar. We managed to find a parking spot finally through one of the agent inside a compound for Rs 50/-. 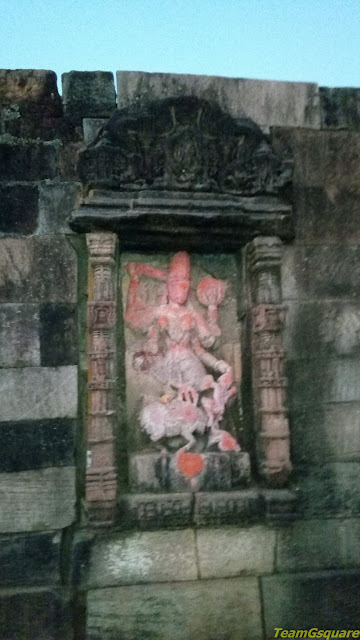 Omkareshwar is one of the 12 Jyothirlinga shrines dedicated to Lord Shiva. It is situated on an island resembling the holy symbol OM on the banks of the triveni sangam (holy confluence) of rivers Narmada, Kaveri and invisible Saraswathi. 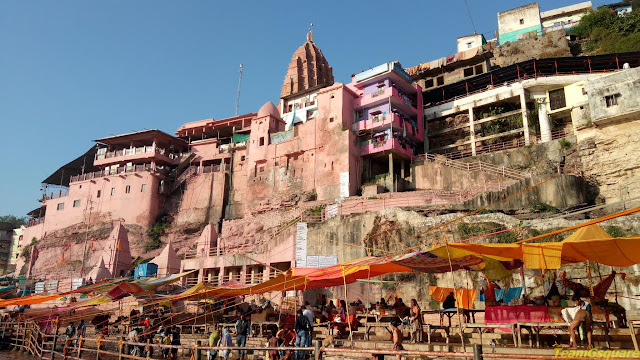 There are two ways to reach the temple from the southern bank of river Narmada, either a walk via hanging bridge or a boat ride. We zeroed in on the boat ride as our little one enjoys being in, around and surrounded by water! 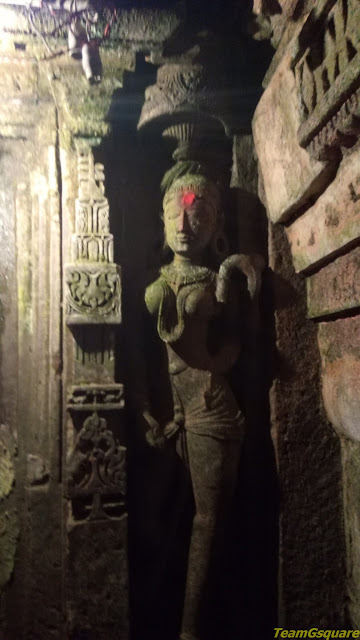 After a hard bargaining negotiation, our agent he agreed to show us three places for Rs 200/- which were the confluence of the rivers/dam, the Omkareshwara temple and the Vishnu temple. Our boat man first took us close to the dam and told us about that place being the confluence of the rivers which we realised later to be untrue. The point of confluence lies behind the dam and can be reached by walk from main temple. 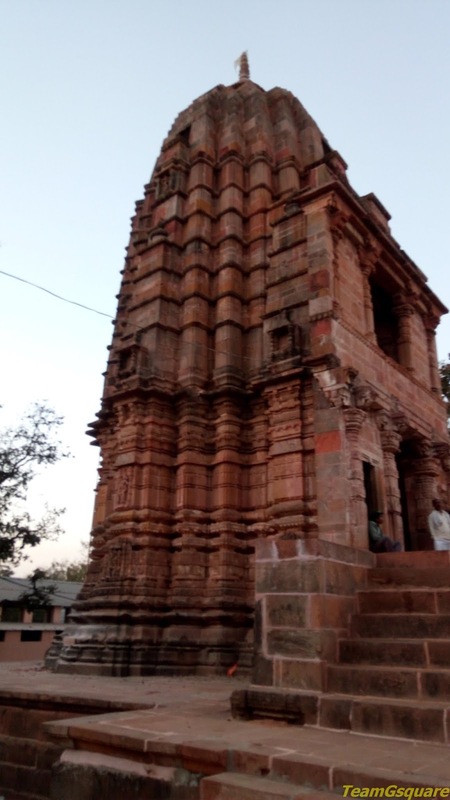 Later we were dropped at the bank of Omkareshwar temple. He informed us that the temple would open by 4:30 pm for darshan and here again while we waited in queue for darshan, we were approached by many priests/agents offering direct darshan at a cost. We had a tough time avoiding them. We stood in the queue for, say 20 minutes before we had the darshan of Lord Omkareshwar. The main temple of Omkareshwara is multi-storeyed, with each storey housing one Shivalinga dedicated to the various forms of Lord Shiva. 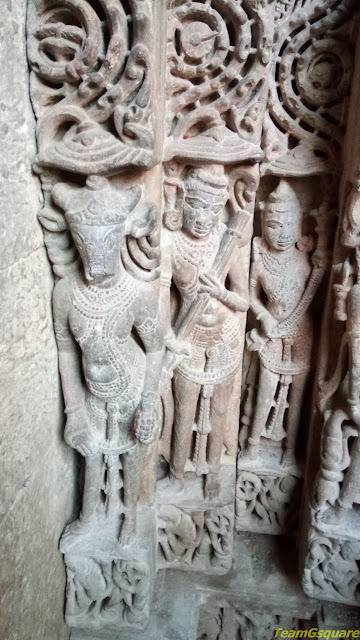 The temple has some beautiful sculptures which are spread across the temple complex. 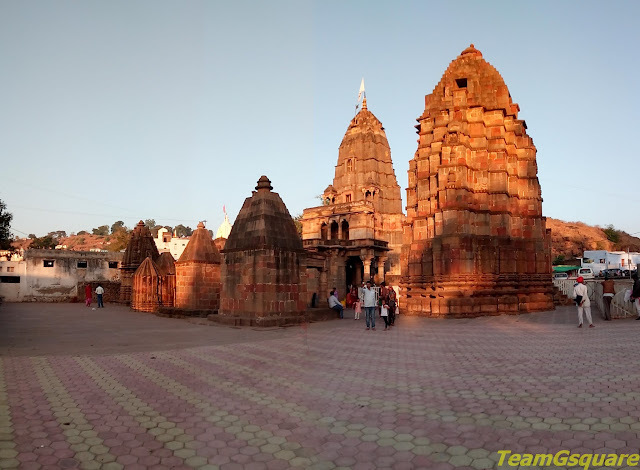 Thanks to Madhya Pradesh government, this place is very cleanly maintained despite being a pilgrimage center. 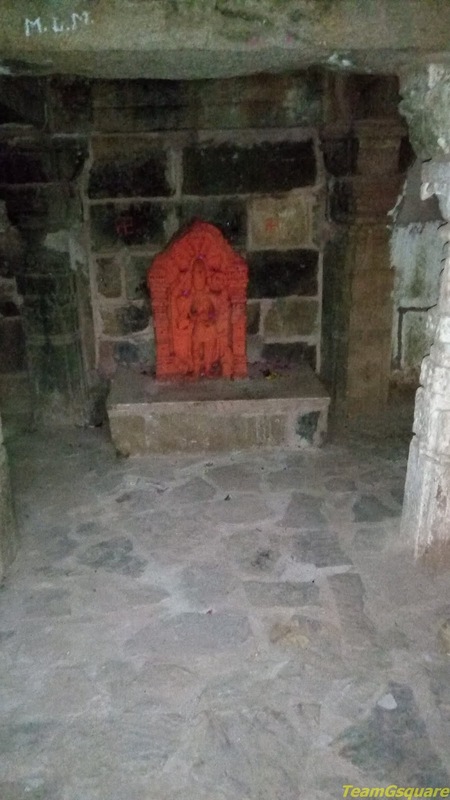 Here on while returning to our boat, we found a cave temple dedicated to Guru Shankaracharya. 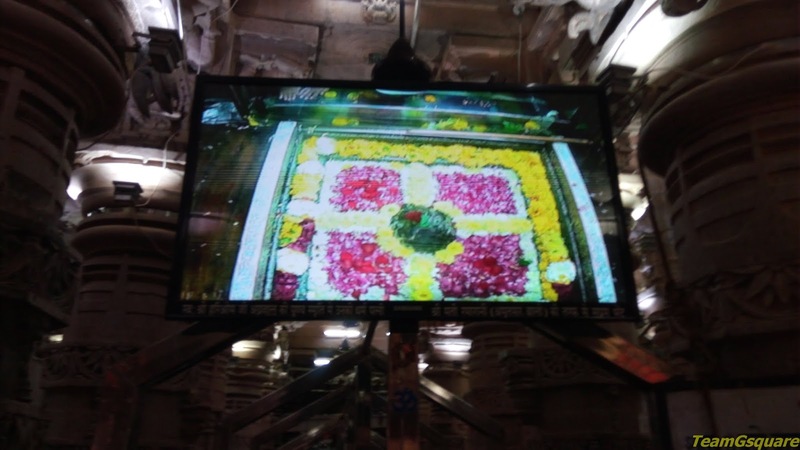 This sacred cave is the place where Shankaracharya met his guru Govindphada. We reached the boat, and rode towards the Vishnu temple. 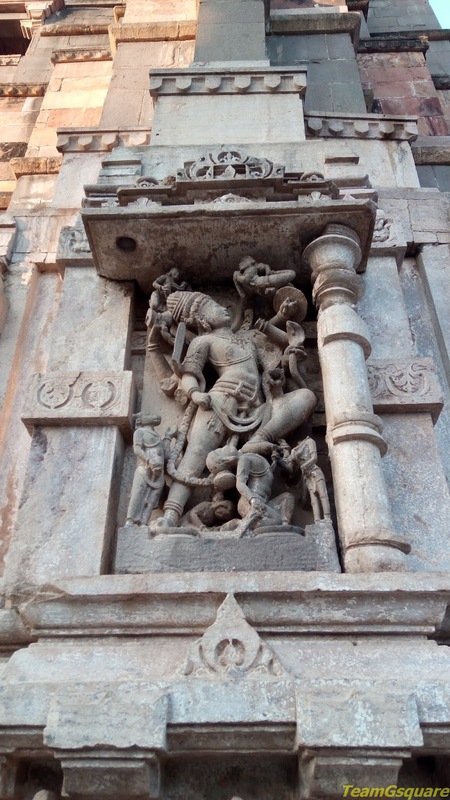 We had to see this huge idol of Lord Vishnu from the boat only and later were dropped near the Gomukh Ghat. Gomukh ghat is a ghat on the southern bank of river Narmada and a flight of steps here lead us to the temple complex of Mamleshwar. This temple is considered to be the oldest temple here and is dedicated to Lord Shiva. We managed to make a quick visit to all the temples in the complex and stopped by to have a cup of tea. 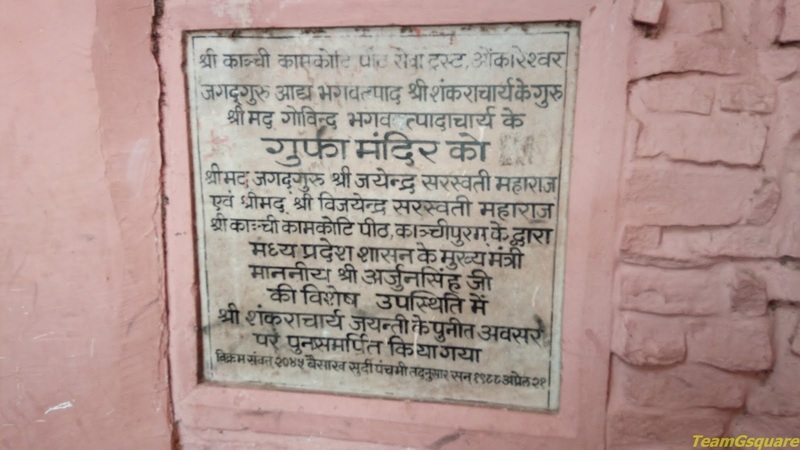 In between our exit from the temple and sipping hot tea, we had picked up a book about Omkareshwar written in Hindi. As we sipped tea, we brushed through the book only to find many other interesting places worth a visit here and around. At the tea stall, we inquired about a few places given in the book and were informed that most of those structures were located on the hillock behind the main temple. Though we were contemplating and initially quite hesitant to ascend the hill, by heart because of our tired legs, we desperately wanted to visit this place and finally put a step forward. Our hearts finally winning won over legs. Unknowingly we were along the divine OM Parikrama or the Narmada Parikrama, a circuitous path regarded as sacred when completed by pilgrims. We crossed the hanging bridge and started our ascent by the steps laid to the top of the hill with the beautiful sun setting, in the back ground. 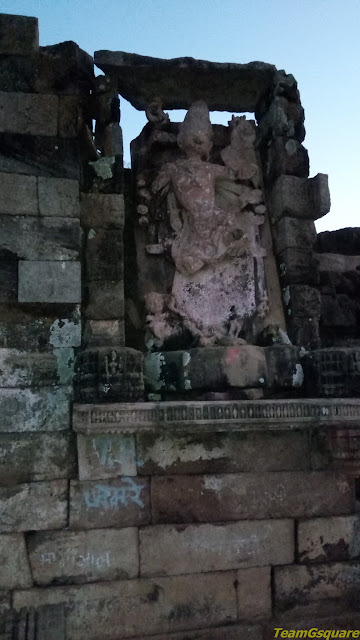 We had to hurry up and rush through a few temples and structures before it fell completely dark. We only wished we would have made it here much earlier, so we could enjoy the sheer beauty of this place. 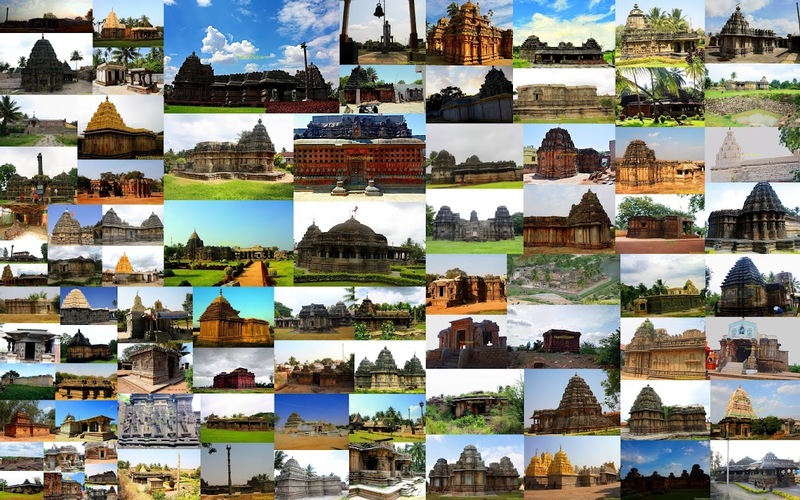 All the structures and temples built here are attributed to the reign of the Paramara dynasty. 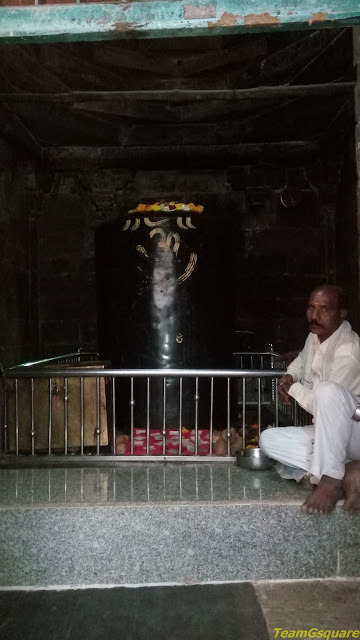 This is a beautiful two storeyed temple belonging to the 11th century AD housing a huge Shivalinga. 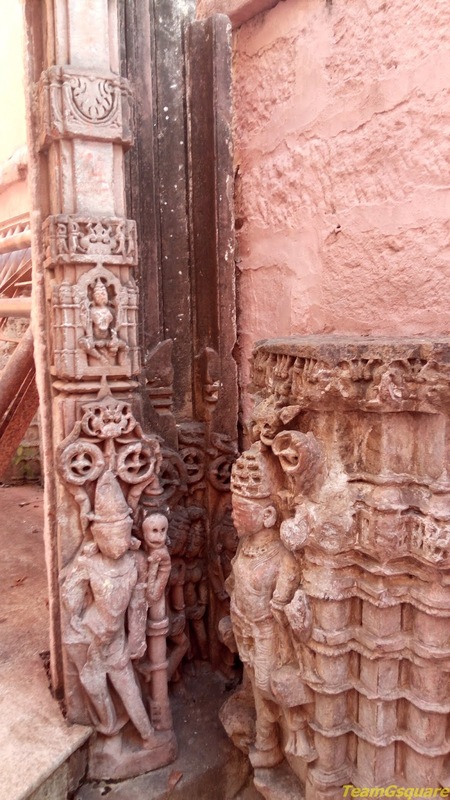 It is built of red sandstone and is associated with various interesting legends. There is also a beautiful Nandi idol opposite to the temple. 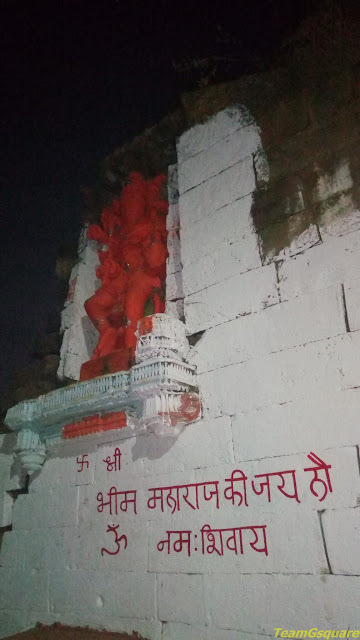 A little further is the Patali Hanuman temple dedicated to Lord Hanuman who is seen in a reclining posture. 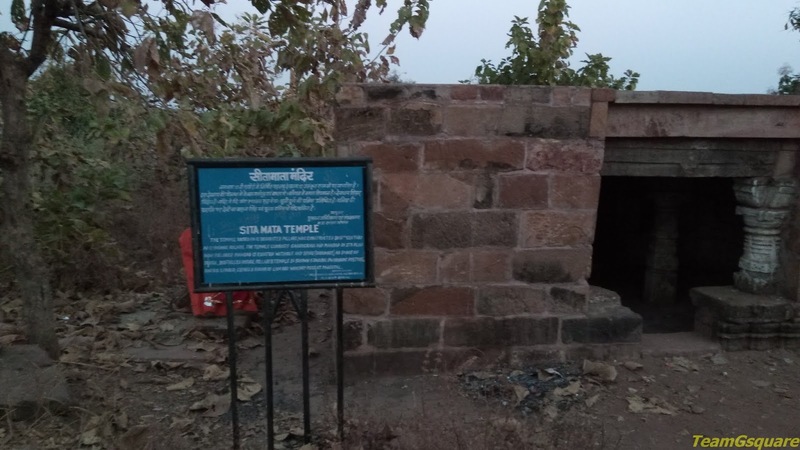 This 11th century temple, now mostly in ruins is dedicated to Goddess Sita (Lord Rama's consort). This is a very beautiful fort gateway and on either sides of the gateway are carved images of river goddesses Ganga and Yamuna. A carving of Lord Ganesha is also seen here. The main reason for our ascent to this hillock was the picture of Siddhnath temple dedicated to Lord Shiva. 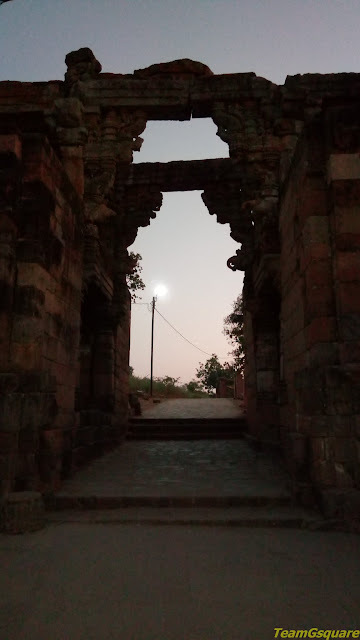 The sun had set by the time we reached this temple. 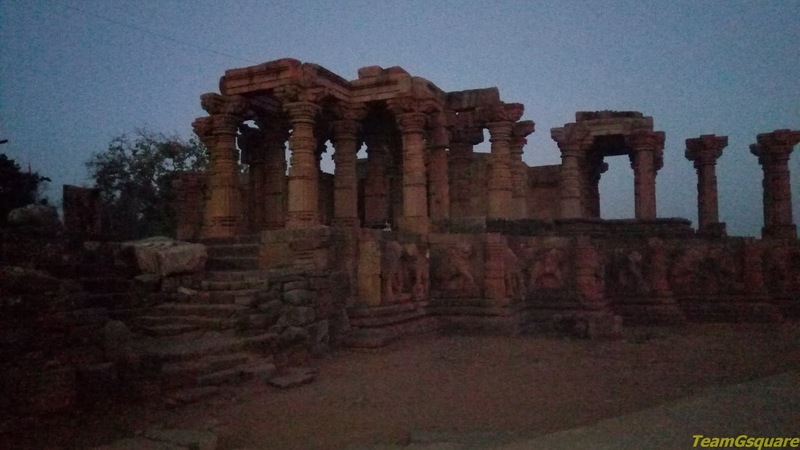 Even in the dark the temple looked equally beautiful, consisting of 72 pillars (18 pillars in each direction). All the pillars seemed to be very well executed. 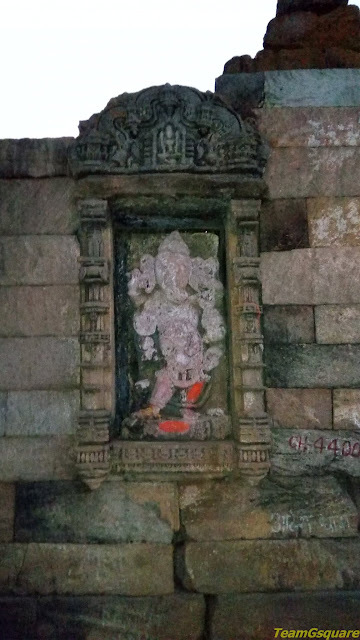 Another gateway to this fort is the Bhima Darwaja where a huge idol of Bhima (one of the five Pandava brothers from Mahabharata) is seen. 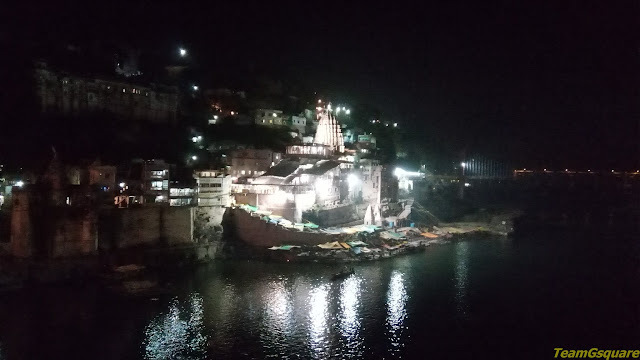 Finally we reached the main temple of Omkareshwar where the parikrama ends and got another chance of darshan of the Lord, this time among a relatively lesser crowd. Since it is the Parikrama path, the pathway was well laid and well-lit all along. Distance from nearby major town - 75 km from Indore. Accommodation - Being a pilgrimage center, there are many options for finding accommodation. Narmada resort being one among the better ones is maintained by MPSTDC. Where to eat - Many road side eateries offer Poha, Jalebi, Samosa and other snacks. Such a detailed and helpful post. 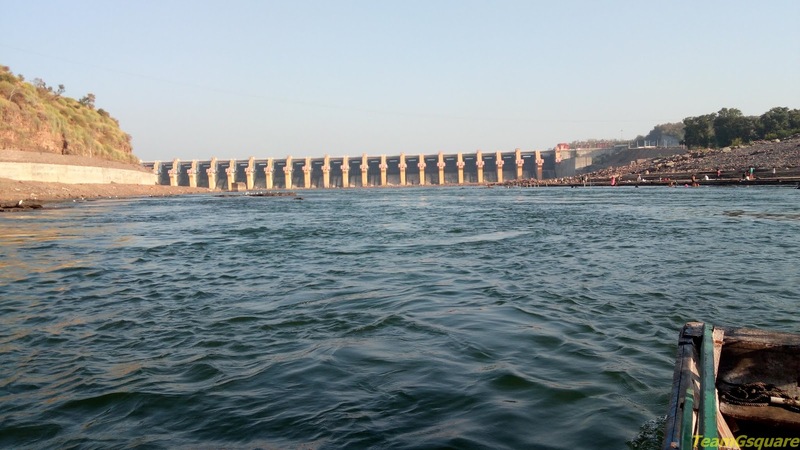 Narmada looks so serene.